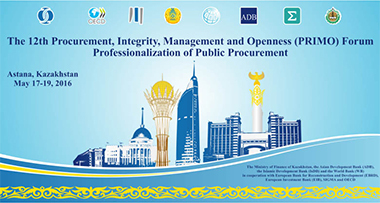 The Procurement, Integrity, Management, and Openness (PRIMO) Forum is an annual regional forum to convene public procurement officials to foster regional cooperation and knowledge sharing, good governance, and anticorruption with a focus on Europe and Central Asia. The forums offer tremendous ways of communication and knowledge sharing not only between countries, but also with the multilateral development banks on various topics such as Performance of public procurement; Procurement Monitoring and Oversight; Professionalization of Procurement Function, e-procurement etc. The PRIMO Forum is cosponsored by ADB, EBRD, EIB, IsDB, World Bank and in cooperation with EU, OCED and SIGMA. 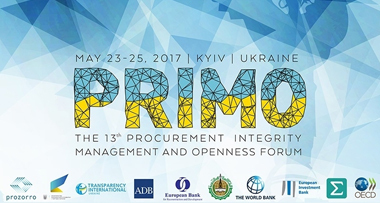 Every year one country from Europe and Central Asia (ECA) region hosts the PRIMO forum. In addition to the face to face PRIMO forum, a virtual forum is held twice a year with a focus on both Procurement and e-Procurement aspects (e-Reverse Auctions, e-Catalogs etc.). The participants have the possibility to attend any by joining a video conference room at one of the World Bank country offices or from their own computers via WebEx, the World Bank’s virtual conferencing platform.